The San Antonio Spurs look to bounce back from a disappointing performance on Sunday when they host the Oklahoma City Thunder. Tip-off is set for 8:30 PM ET at the AT&T Center. The Spurs (36-11, 27-19 ATS)blew a 15-point second-quarter lead on Sunday in a 105-101 loss against Dallas and is now 16-6 at home this season after matching the league record with a 40-1 mark last season. 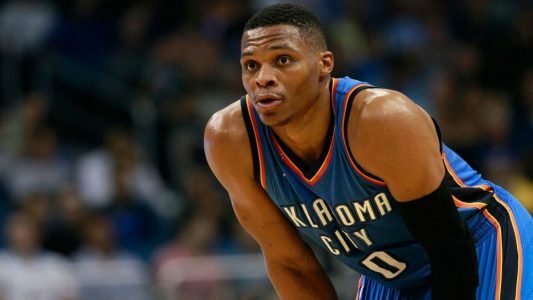 The Thunder (28-20, 26-21 ATS) continue to receive MVP performances night in and night out from Russell Westbrook. He’ll try for his 25th triple-double of the season which historically had been good news for OKC. The Thunder are 18-6 when Westbrook triple’s up and 51-10 in his career, but they lost 107-91 to the Cleveland Cavaliers on Sunday despite 20 points, 12 rebounds and 10 assists from the former UCLA standout. His 24 triple-doubles are the most in a season since Wilt Chamberlain posted 31 in 1967-68, and his averages of 30.8 points, 10.6 rebounds and 10.2 assists have him on pace to join Hall of Famer Oscar Robertson (1961-62) as the only players to average triple-doubles over an entire season. The Spurs are 13-3 to the OVER in their past 16 home games. They’re also 4-0 to the OVER in their last four vs. the NBA Northwest and 10-1 to the high side in their last 11 against the Western Conference. The Thunder are 8-2 in the last 10 series meetings and 4-1 ATS in the past five meetings in San Antonio. The favorite is 22-9-1 in the last 32 meetings. The Spurs are 10-3 ATS in their past 13 home games and 17-7 vs. the number in their last 24 overall.